Perlicine | Zonyxa. Unique and contemporary jewellery for Work. Love. Play. 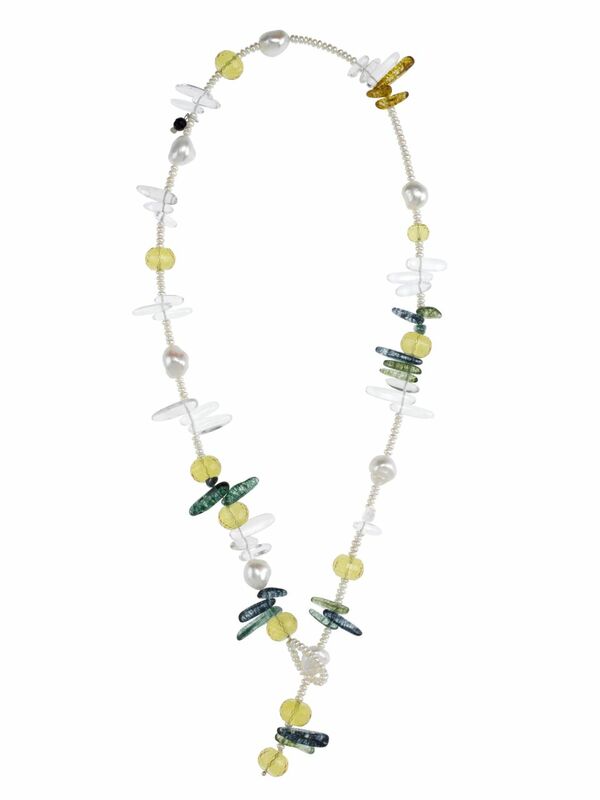 Projecting pure joy and striking playfulness, the ingredients tell the story: pearl beading, faceted bright yellow citrine orbs, chips of pure crystal, hues of blue and green ice crystal and seven natural freshwater pearls – the full house. It’s completely adjustable so you can wear it as a long necklace or a chocker with pendant, guaranteeing a fascinating play of light, day or night.